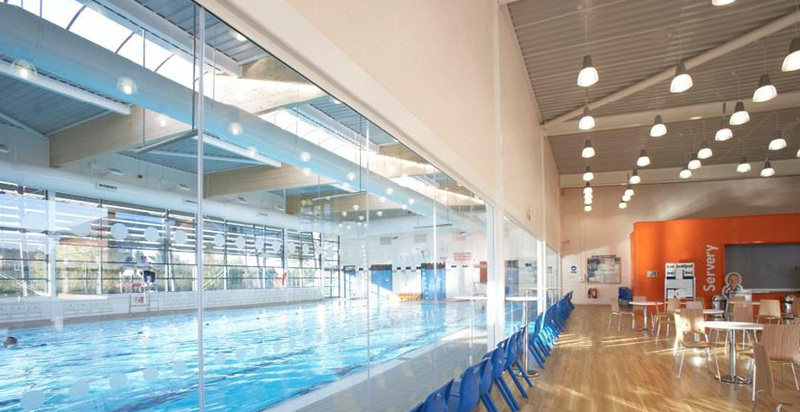 This project involved the construction of a new community leisure centre in the grounds of John Port School in Etwall, Derbyshire. The scheme was procured on a partnering arrangement using the NEC3 form of contract. This enables us early involvement to the scheme to provide value and risk management to ensure cost certainty and that the project was delivered in budget. 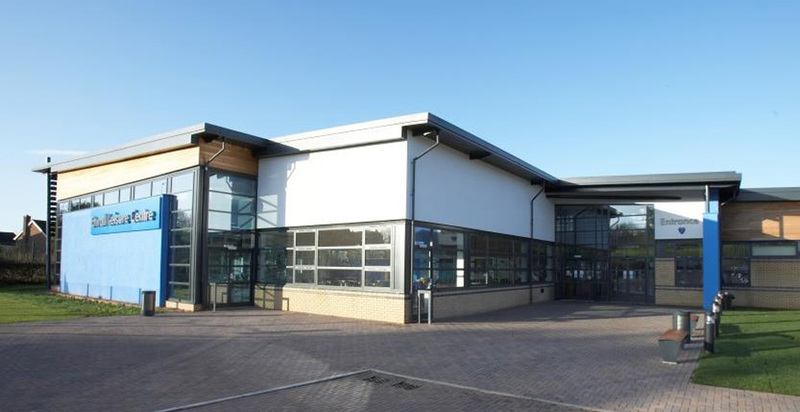 This is one of 6 schemes G F Tomlinson has constructed at the John Port School, so we are very familiar with the constraints of working within the confines of a live school containing over 2,000 pupils. Traffic management was key, as was the daily liaison with the school to ensure safety and that the existing facility was able to function normally throughout. 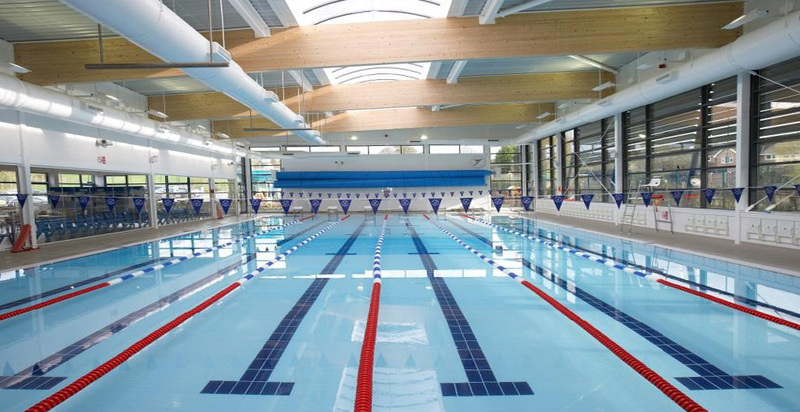 The new leisure centre and sports facility has a 25m six lane swimming pool, a six court sports hall accommodates a wide range of sports, a regional badminton facility with Olympic training potential, a fitness suite, meeting rooms, a café with parking and landscaping. 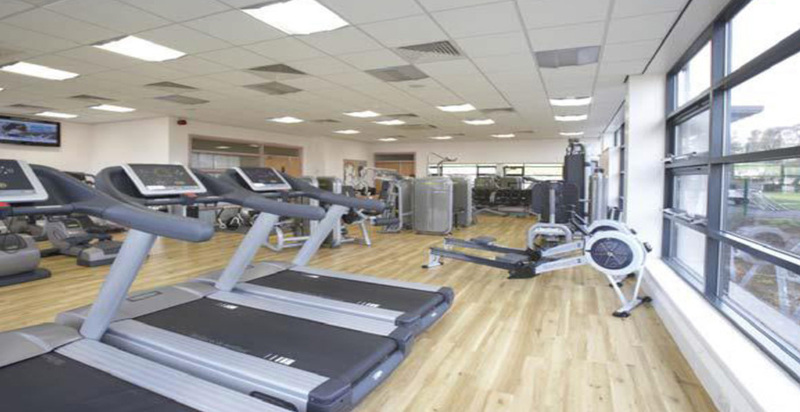 The leisure and sports facilities are constructed to Sports England standards.